ABERDEEN — AC Sandhills has announced a deal with the owner of the former Gullistan Carpet factory to turn part of the 650,000-square-foot building into an indoor sports and entertainment facility. MooreSportsRadio.com reported Saturday that the club will move its offices to the Highway 5 location next month. AC Sandhills, a nonprofit with more than 20 years in the business of youth soccer, now offers girls travel volleyball, the Lakers Youth Triathlon Club, girls lacrosse, recreation soccer, travel soccer, multiple year-round camps and clinics and adult soccer. AC Sandhills and building owner John O’Malley say they will meet with town of Aberdeen officials to review plans to build court space for volleyball, basketball, soccer and lacrosse in a 74,000-square foot area of the building. Other ideas for the facility include five outdoor soccer fields and indoor shuffle board, foosball, arcade, a multi-sports training area and a food court. 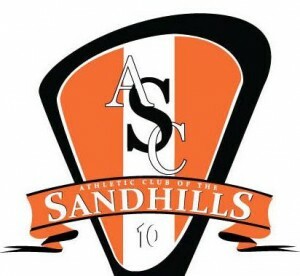 AC Sandhills’ announcement coincides with World Cup soccer legends Mia Hamm, Kristine Lilly and Tisha Venturini Hoch coming to Southern Pines on Friday, May 15. The soccer legends will host a two-day Team First Soccer Academy for kids ages 7 to 18 on May 16 and May 17. The announcement also comes on the heels of a feasibility study released last week by a Florida company that indicates Moore County can generate an estimated $56 million in new spending for sports tourism with the construction and management of a $15.9 complex. The proposed athletic complex would be located on U.S. 15-501 across from Legacy Golf Links on 60 acres essentially donated by the Ransdell family, according to The Pilot, which also reported that a local bill has been filed in the General Assembly that would allow the county to double its hotel room occupancy tax to help fund the project. AC Sandhills also recently announced that Nikki Schwob, the club’s director of lacrosse, has worked with Katy O’Mara of BlastLax in Raleigh to develop the North Carolina Girls Lacrosse League — the first-ever girls lacrosse league in North Carolina. In November 2014, Richmond County voters soundly rejected a proposed multipurpose sports complex within the city limits of Rockingham. Voters were asked to support a quarter-cent sales tax hike. Nearly three out of every four county voters — 8,661, or 70.4 percent for to 3,638 against — said no thanks. The facility would have been built along Old Aberdeen Road and would have included four baseball/softball fields, three youth baseball/softball fields, four more adult baseball/softball fields, an 18-hole disk golf course, a tennis facility, a soccer complex comprised of five playing fields and an activity center, complete with a miniature train, a splash park, a carousel, a playground and a dog park, among other amenities. Maybe if a non-profit, like AC Sandhills, had been created in Richmond Co., they could have moved forward with the sports project. Luckily, the citizens of Richmond Co., were not forced to pick up the tab. And this is the reason Moore County is progressing and Richmond County is blowing away like a tumbleweed in the wind.. A quarter cent sales tax was rejected?? Not a quarter, but a quarter of a cent!! Sounds about right! !